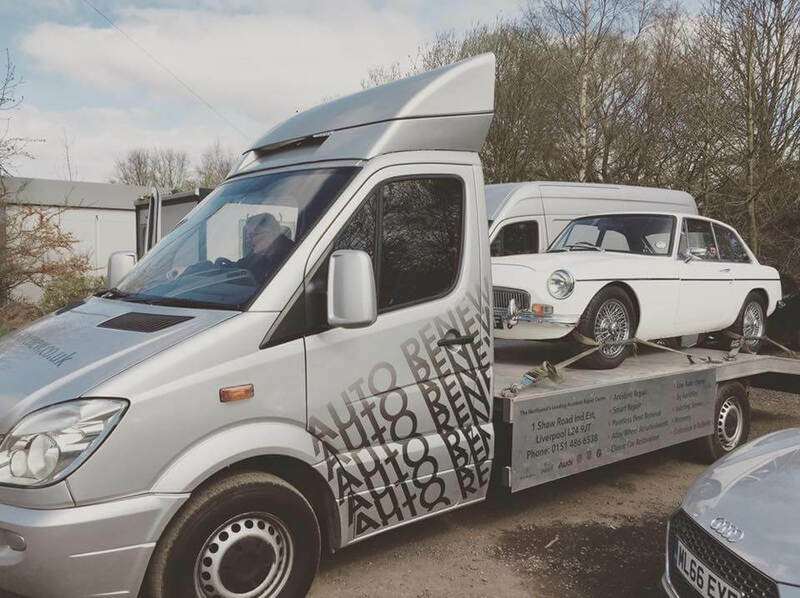 At Auto Renew, we offer a fully insured collection & delivery service across the Northwest. Goods In Transit (Certificates available for viewing) & VOSA Compliant Trucks. Fully equipped with heavy duty winch, low angle ramps ideal for lowered and modified cars Always secured with Alloy Wheel Protector Straps as safety and unwanted damage is our priority. Our recovery services operate 24hrs a day, 7 days a week. For any further information please contact 0151 486 6538. Fill in the contact form detailing the work you require, please give us as much information as possible and we will get your free, no-obligation quote back to you as soon as possible.